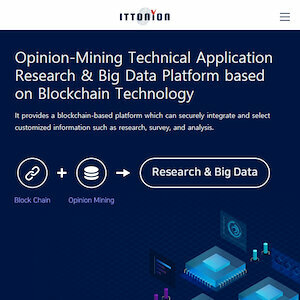 ITTONION platform devised a new Opening Mining system based on blockchain which provides survey and poll information platform. It allows everyone to freely participate in it. We are confident that this platform will have high accessibility with participants through alliances with various Social Networking Services and web service businesses, redistribute the information, and make innovative changes involving the entire survey and poll information. Companies require precise target settings for promotional marketing. Several advertising agencies are doing targeted advertising, but since consumers found out that it was a targeted marketing, information communicability of advertisement has been declining. This makes it difficult for businesses to understand the accurate needs of consumers.Public opinion formed a day before, on that day, or after that day may be different. Unlike the past, time to absorb information has grown shorter, therefore, it is impossible to make correct judgments about data. In addition, it takes a long time to aggregate data, which may result in out-of-date information; there is no proper compensation for participants, which may result in untrustworthy data; some surveys do not contain interesting topics for participants, which may result in group distortion.Given this factor, amending existing survey methods by sampling, or using a mobile phone, or improving some parts is hard to correct errors of a survey. It seems to need a new way to solve the fundamental problems of former surveys. Consequently, we are going to propose this new way that can basically solve these problems.